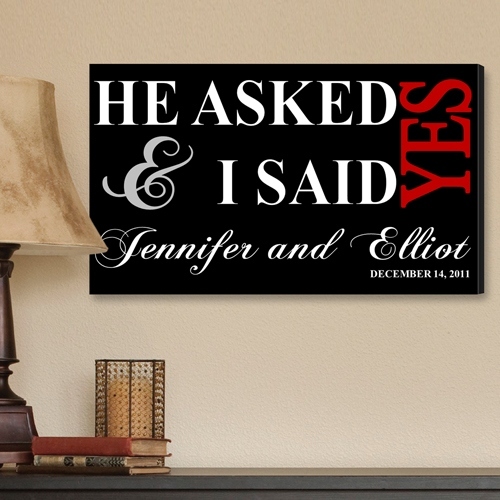 * This personalized canvas print is the perfect way to commemorate your wedding date. * Bold white text proclaims the phrase, “He Asked & I Said Yes” above your names in elegant, stylized script. * Pair it with your wedding portrait or display it alone for a beautiful, personalized canvas print that celebrates the love you share and the family you've begun.